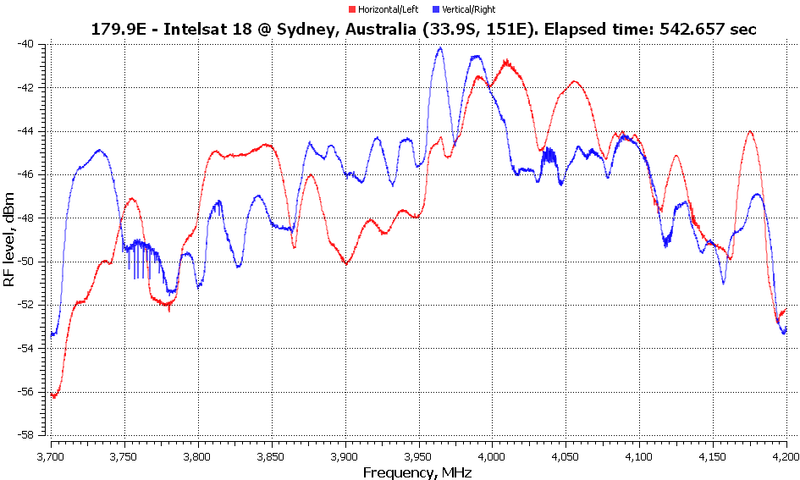 In the final installment, I look at the three easternmost satellites with signals receivable in Sydney, namely Eutelsat 172B, Intelsat 18 and NSS9. Owing to their positioning and the markets which they serve, the latter two are circularly polarized and have been received accordingly. Eutelsat 172B is a relatively new satellite, launched in June 2017 replacing Eutelsat 172A (formerly AMC 23/GE 23, which is now Eutelsat 174A at 174°E) and notable as the first telecommunication satellite using a full-electric propulsion system at this scale. It carries only a few services in C-band, targeting mainly Fiji, Papua New Guinea and other Pacific islands. However, it’s also quite important as it provides in-flight connectivity services for aircraft with a number of high-capacity spot-beams in Ku. The services it provides are in the regular C-band area, with linear polarity. Signals seem pretty strong too, which is good. Despite the clear appearance of services, the number of DVB type are quite limited. 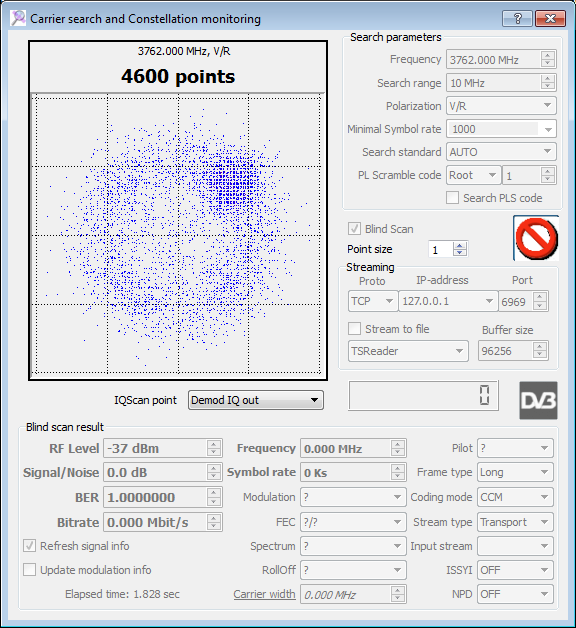 This matches the online satellite listings for the most part, however, there seemed to be a few other DVB type services but they were of data type using newer APSK/ACM-VCM/MIS capabilities that the Prof 8000 is not capable of. The spectrum in horizontal and vertical polarity respectively. Results are as expected and no particularly unusual services were seen while going through the spectrum. 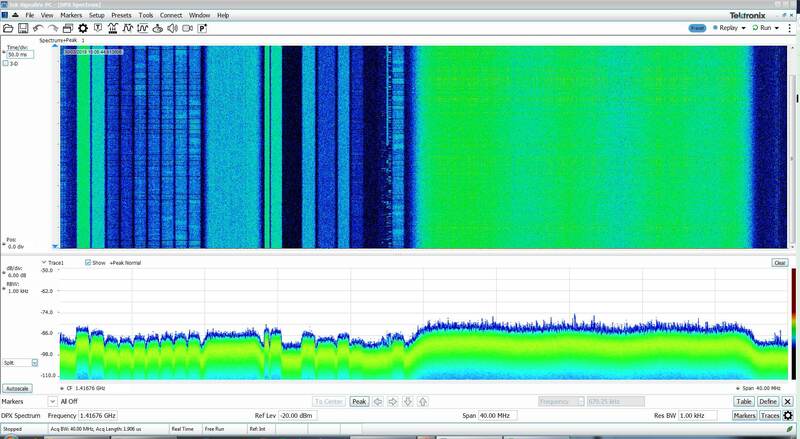 In the horizontal polarity at 3704.177793Mhz, a beacon was found with a 66khz subcarrier with about 8khz shift. 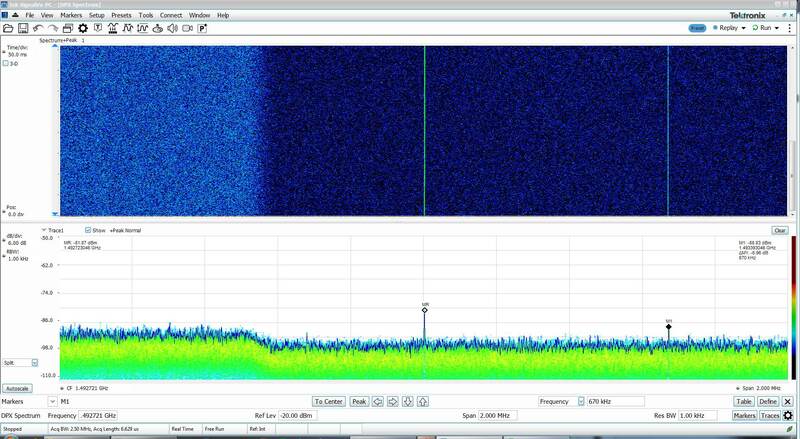 From what is publicly known, it seems that this beacon belongs to the neighbouring Eutelsat 174A. 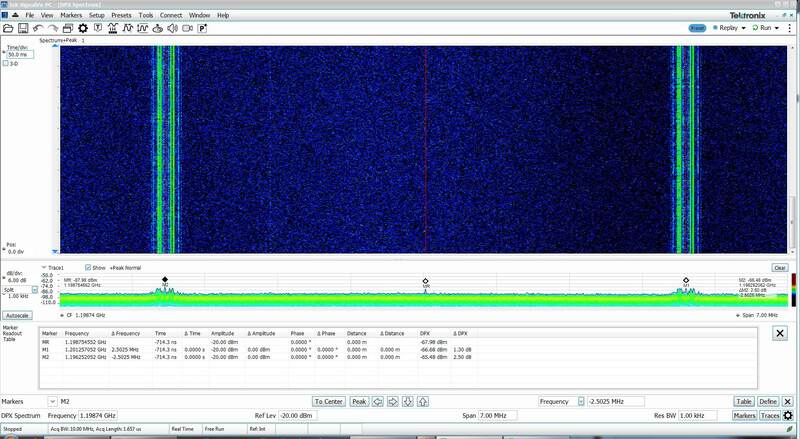 In the horizontal polarity at 4200.04525Mhz, what appeared to be a CW beacon may have been found, however, this could also possibly just be spurious. Moving over to the vertical polarity, beacons were found at 4200.074584Mhz (CW), 4200.677709Mhz (Modulated) and 4201.074897Mhz (CW). 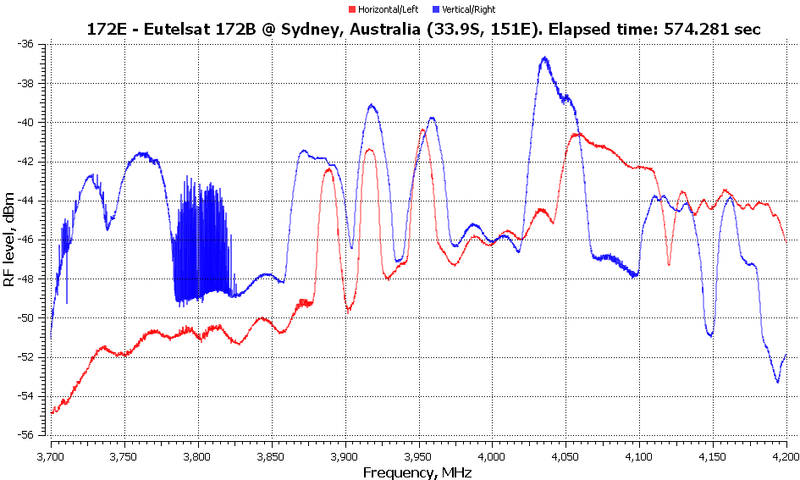 Judging from the public data, it seems that that the detected 4200H and 4201V may well be a pair belonging to Eutelsat 172B based on spacing and LNB offset/drift. This implies that the 4200.68Mhz Vertical probably belongs to Eutelsat 174A which would make sense based on its similar format and expected frequency/polarity. However the source of the lower 4100.074Mhz Vertical is unknown, but given its strength, it could either be 172B or spurious. As a result, even though I couldn’t actually catch Eutelsat 174A directly as I saw no services, by pointing at 172B, I was able to catch the beacon from 174A purely due to the beamwidth of the dish. Intelsat 18 sits in a strange location, able to serve Asia and America simultaneously, which is especially valuable for Pacific island nations. This particular satellite uses circular polarization, and mainly carries the American Forces Network over C-band and channels for New Caledonia over its Ku-band. 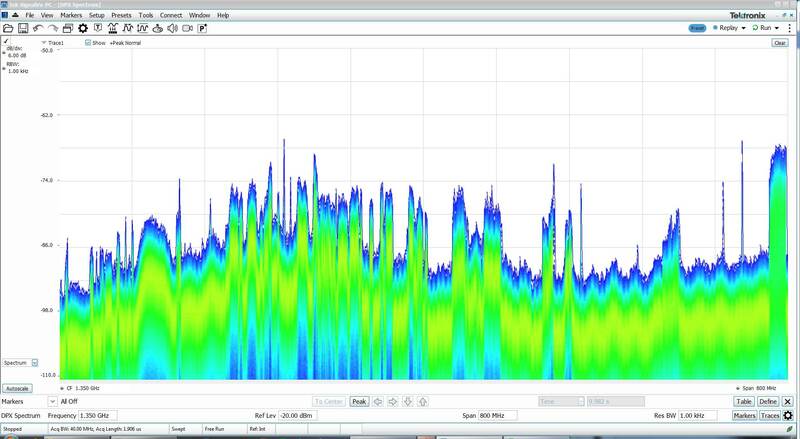 The CrazyScan spectrum makes it look busy – so there’s probably many non-DVB services. 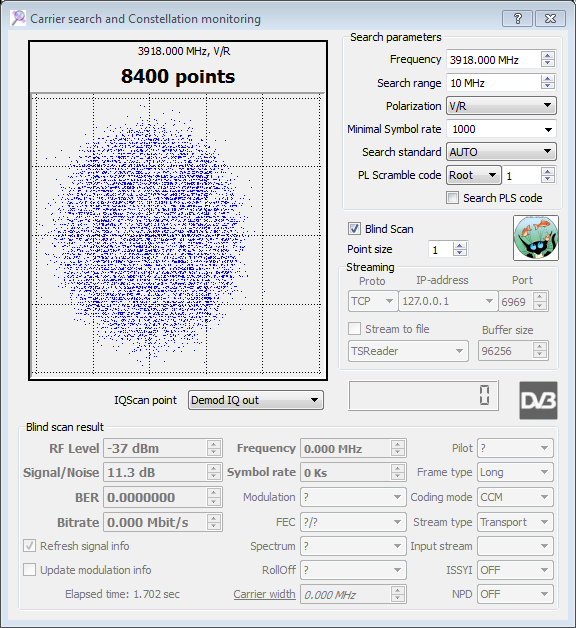 BLScan was only able to find two DVB-type services. Part of the reason is probably the low achieved SNR, probably due to the limited satellite output power and the additional losses (3dB) in using a dielectric plate to receive circularly polarized signals. There isn’t anything new to speak of in terms of services, but it’s nice to know an Australian channel of sorts is being carried on IS-18 in C-band. The spectrum in LHCP and RHCP respectively. 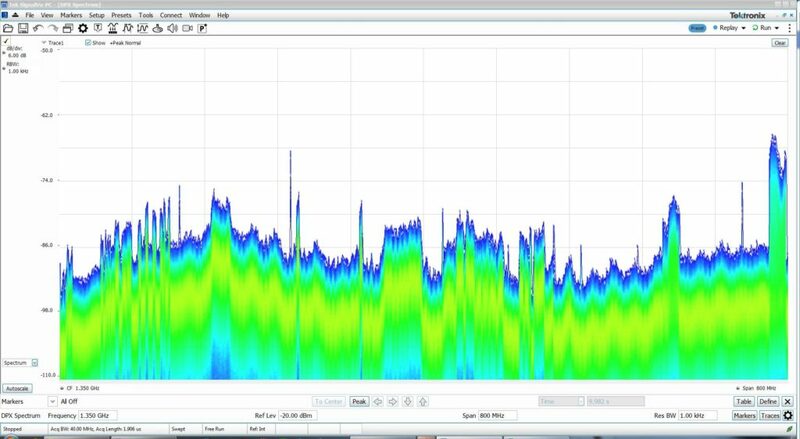 A lot of spiky peaks suggesting non-DVB data services as seen earlier, but this particular satellite had a few interesting ones to show. 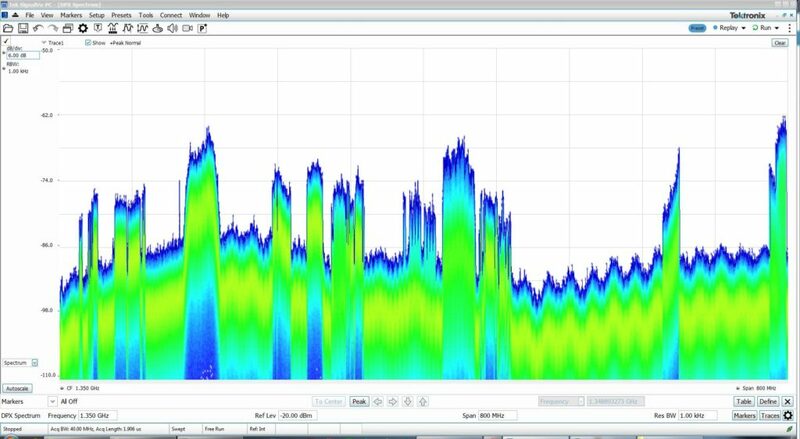 There were transmissions in LHCP where it seemed a “wider” system with spectral patterns was being used, similar to the ones known before, but at a lower power? But then this led me to find LHCP transmissions where there was some very narrow signals (probably almost NFM 8khz width) showing up in the downlink. It’s not common to see such narrow and weak signals from experience, or might that be noise? 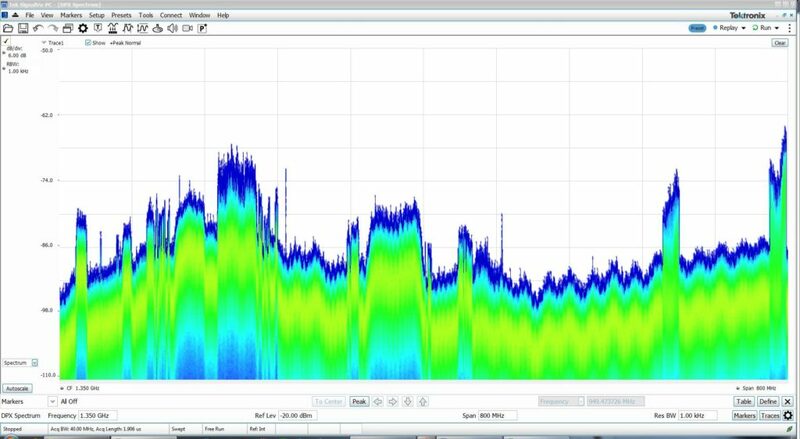 In RHCP, we see a mixture of data systems and widths, but the one to the right caught my eye because of its severely varying signal power and the presence of what appears to be a preamble. Looking up close at 3870.264Mhz RHCP, it seems that there is a centre-frequency “pip”, followed by the two tones and the data burst. This is similar to some paging and low-rate ham data protocols – maybe a form of FSK. That being said, this system seemed to follow a cyclic transmission pattern with four bursts every 10 seconds, so maybe it’s a form of telemetry link? Looking for beacons was rather interesting, owing to the number of potential candidates found, probably not all of which would belong to Intelsat 18. The most promising seemed to this pair found in the RHCP at 3951.245448Mhz (Unmodulated), 3948.742948Mhz and 3953.747948Mhz (Modulated, 5Mhz spacing). This seems consistent with the data that shows a 5Mhz spaced pair of telemetry beacons at 3947.5Mhz and 3952.5Mhz (RHCP) with a regular beacon right in the middle at 3950Mhz but in the Vertical polarity. This was confirmed when the middle beacon continued to persist when switched to LHCP, thus confirming it was likely a linear-polarity signal. A close look at the pair of beacon signals spaced 5Mhz apart shows that they have virtually the same configuration – AM carrier with two “wide” type subcarriers (FSK? 10khz shift) at 48khz and 72khz. Based on the documentation, that was all I was expecting to find. Instead, I found some more interesting beacons, but these seem to be from a neighbouring satellite instead. 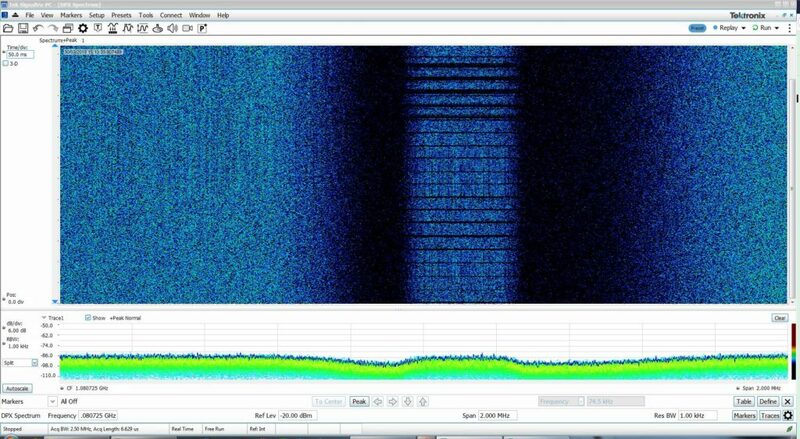 This pair seemed to persist both in LHCP (above) and RHCP (below), so are probably linear type beacons. The frequencies are approximately 4200.252716Mhz and 4200.751466Mhz, spaced 0.5Mhz apart. Both appear to be AM type with a single 32khz subcarrier. A bit of careful sleuthing seems to reveal that this is the beacon for Inmarsat-5F3 stationed at 179.6 degrees East – well within our beamwidth. Mystery solved, but not without the thanks of frequencyplansatellites.altervista.org. The final satellite is NSS 9, a purely C-band satellite owned by SES. Another circularly-polarised satellite, it only carries a few DVB services. 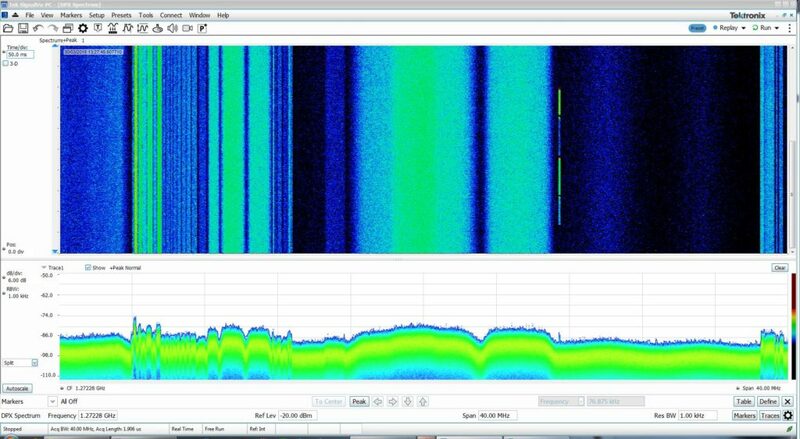 Despite this, it does have a busy spectrum according to CrazyScan, residing in the “regular” C-band but not all within the OCS LNB frequency coverage. BLscan finds just four DVB type services. On the whole, nothing particularly worth watching it seems. The spectrum in LHCP and RHCP respectively. 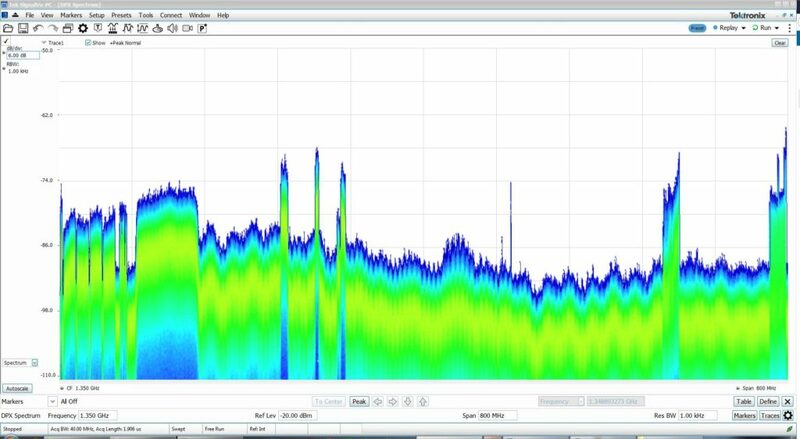 Interesting signals include this data system in RHCP which features variable length bursts in a discontinuous/TDMA scheme. Also in RHCP, and similar to that seen on Intelsat 18 above, this strange “spaced” very narrow blip phenomenon also occurs here. Maybe it’s spurious? Finally, in RHCP, this shows the diversity of data systems which seem to be used on this satellite. Just as with the above satellites, chasing for beacons got a bit messy. Lets start with the low-end of the RF spectrum. 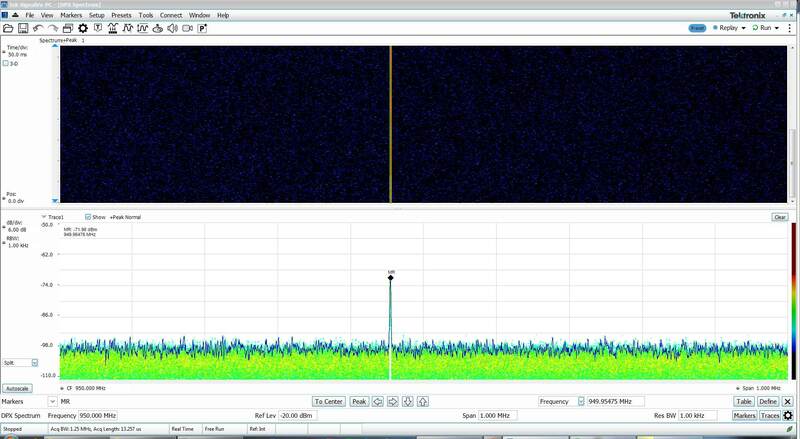 Looking towards the bottom of the C-band, there seemed to be two candidate CW beacons which were stronger in RHCP (bottom) than LHCP (top) but otherwise present in both. The frequencies are 3656.605454Mhz and 3657.272454Mhz. One of them appeared to have bursts across it from time to time. Somehow, I suspect these may be spurious and not actually related to beacons given the odd spacing. I did find this which was obviously a satellite beacon, visible in both polarities but stronger in RHCP, so another possibly linear beacon. Frequency is approximately 3450.511428Mhz, AM type with 48khz subcarrier and about 9khz shift. There seems to be an unmodulated outer subcarrier but its frequency was not markered. This one is particularly perplexing as it doesn’t match the expected details of NSS 9 (or the co-located Yamal 300K) but it’s quite strong and in the extended C-band area. I’d have to chalk this one to unidentified. 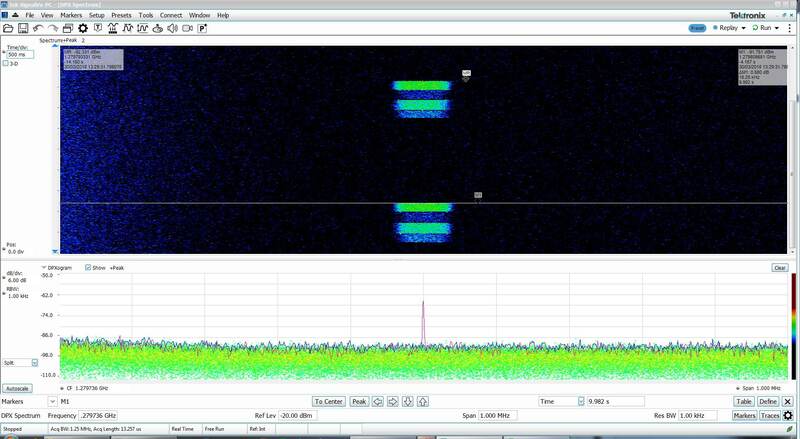 If that’s not the NSS 9 beacon, then these three seem promising – two telemetry beacons spaced 500khz apart, and a CW beacon below in the RHCP. The frequencies are approximately 3945.994574Mhz (CW), 3952.759574Mhz and 3953.262074Mhz (Modulated). The 500khz spacing is clear, as is the fact that they both have practically identical formats, There seems a similarity in data idle periods across the two as well, suggesting this pair is from the one satellite. Both are AM type, with “wide” subcarriers of about 10khz shift at 48khz and 72khz. That CW beacon shown earlier also comes through strongly on LHCP, so may be linear. 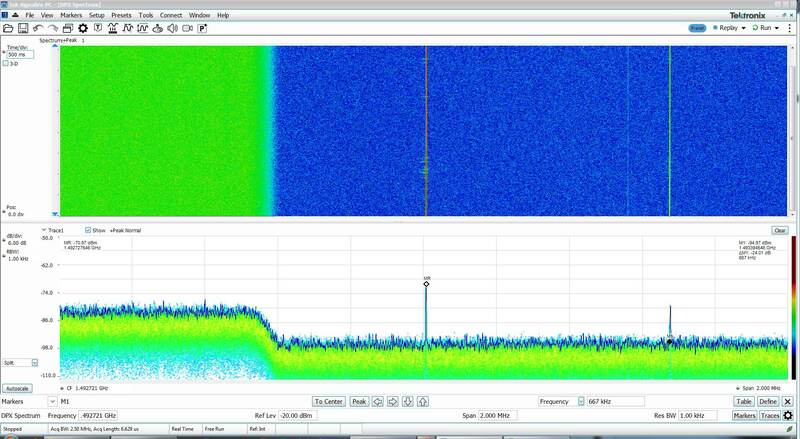 These three beacons are quite in agreement with the published data which claims three possible telemetry beacons at 3951.5Mhz, 3952.0Mhz and 3952.5Mhz RHCP with a regular beacon at 3944.75Mhz LHCP. Thus, satellite is positively identified. I also found a CW carrier at 4210.000058Mhz LHCP, but it seems a little too far out of band to be a beacon. Maybe another spurious result from the analyzer? Interestingly, in this set, the beacon hunt has turned up beacons from neighbouring satellites, which helped me identify their presence despite not putting out any services I could positively identify. The beacon spacing and type, rather than their absolute frequency, was key to the detection along with published data (of which there are very few sources). Not much to watch, but it draws the whole investigation to an end. Through the investigation, I’ve kept myself up to date as to the programming available on the C-band satellites in view and collected the beacon and spectra data where possible which should make realignment a lot quicker in the future. I’ve also satisfied my curiosity to see what sort of other services are on the satellites and what the beacons look like. 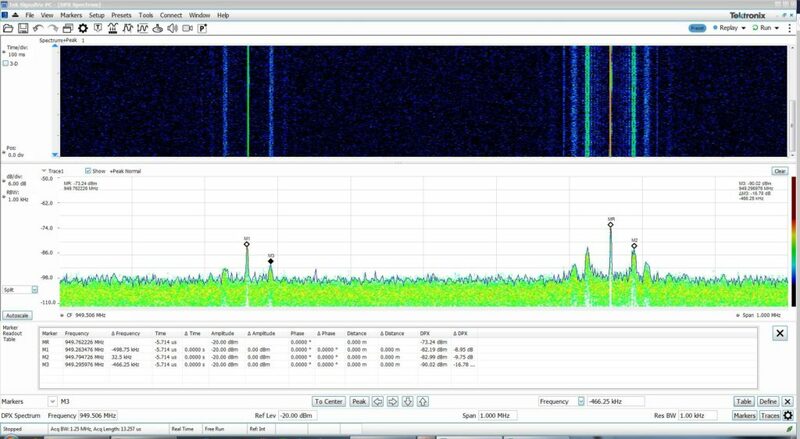 In all, it seems all the telemetry beacons are AM type with FSK/PSK/MSK subcarriers at a number of common frequencies including (approximately) 16khz, 24khz, 28khz, 32khz, 48khz, 64khz, 66khz, 72khz, 74khz, 77khz, 128khz and 131khz. 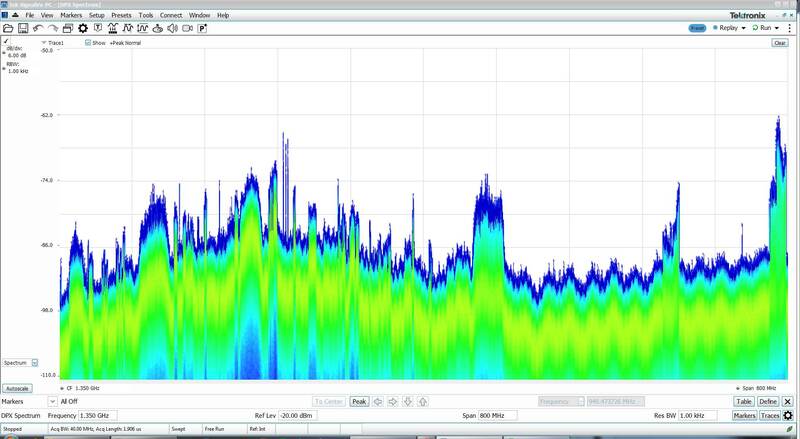 The subcarriers are sometimes unmodulated, or otherwise modulated with up to 10khz shift. There are occasionally time-resolvable components or cyclic switching of subcarriers. 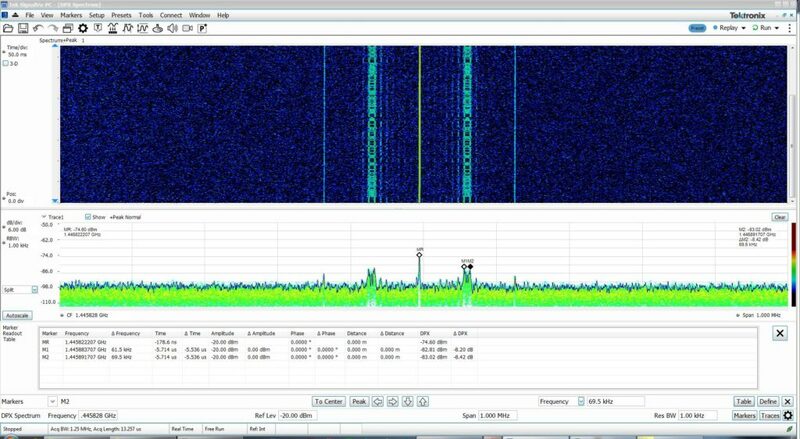 Continuous wave (CW) unmodulated beacons are also available on some satellites, especially useful for frequency reference and uplink power control purposes. I suppose I might as well do this for the few Ku band satellites we have available in this area too, when I have the time.